I received the following request from Benjamin Cross, a psychology professor at NYU. I believe this is an important undertaking, and I'm going to participate. I hope you will also. I am writing you on behalf of a research team from the Psychology Department at New York University, in the hopes that you might be able to help us with our timely and important research about the cognitive bases of electoral decision-making. We would be very grateful to you if you could possibly help us recruit politically inclined respondents to our survey by posting to your blog the link to the online survey we are conducting as part of this research. We began data collection in September, after the Vice-Presidential candidates were announced, but we are particularly interested in how people respond to the candidates when Election Day is around the corner. I'll be writing more about Gallup's so-called "expanded" model, which contains some major flaws. The expanded model looks for a very high turnout among the "new" Democratic voters. We heard the same thing in 2004, where there was high Democratic turnout -- which was offset by extremely high Republican turnout. We also heard in 2004 (from Gallup and others) that 8 out-of-9 Independent voters were breaking for Kerry, WHICH TURNED OUT TO BE ABSOLUTELY UNTRUE. 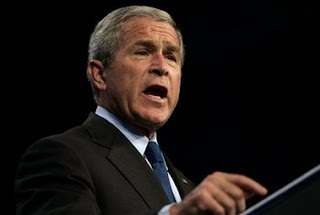 In 2004, Gallup also said Bush would win PA; he didn't; and that Kerry would win OH, which he didn't.The expanded model over-represents votes in a number of states that Obama is already going to win, including DC (not a state), California, New York, Illinois, New Jersey, Massachusetts, and Michigan. It doesn't matter in terms of electoral vote whether he wins those states 51-49 or 90-10. Also, the "expanded" model doesn't include the Bradley Effect, which means Obama polls better than he does on election day (as happened in the PA Primary). Ironically, Obama's own internal polls (showing PA as close) are probably a better model than Gallup's. On "likely voters": In past elections, between one-in-four and one-in-five "likely voters" did not vote. Among registered voters, the ratio of non-voters is significantly higher. I believe Barack Obama probably will win a majority of the votes cast in the U.S. However, because he's getting a disproportionate number of those votes in states McCain is NOT contesting, the Republican candidate conceivably could win a majority of the electoral votes. That's a major reason for Obama's panicked return to Pittsburgh, which is the wrong city for him to visit, since he's already going to win the 'Burgh. McCain and Palin are going to the right places (including Beaver County, Hershey, and State College). Note: If John Kerry had gotten 150,000 more votes in Ohio, he would have won a majority of electoral votes. Yet countrywide, Bush still would have won by 2.9 million ballots. If John McCain wins FL, OH, and PA, he will be the next President of the United States. Keep your eye on Zogby, which hit the 2000 race dead-center. This past Tuesday, Sarah Palin made the most explicitly feminist political speech by ANYONE running for national office in the last 20 years. She said,"Women of my generation were allowed finally to make more of our own choices with education, with career, and I have never forgotten that we owe that opportunity to women, to feminists who came before us." Palin added. "The belief in equal opportunity is not just the cause of feminists, it's the creed of our country — equal opportunity." Many people are trying to marginalize this lady, and discredit her accomplishments. She has worked harder than Obama & Biden combined. She has more executive experience, as well as a a marked record of achievement and increased responsibility. When was the last time you heard a MAN having a ethics violation for having his staff or security detail [suspend] women for him? When was the last time you heard about how much a man spent on his apparel? Why don't we talk about the abuse of power and the subversive tactic to rid us of our Free Speech...and One person One Vote? Or are we to accept the thug politics and stomp all over the Constitution? And what happened to that press complaint "We don't have access?" She is the MOST accessible candidate. Electing Obama will set the progress of African Americans back 20 years. Women further. Remember when they first implemented affirmative action, and unqualified people were getting hired?This past week, I sat on a panel for [Anderson Cooper's] AC360. I thought my positions and arguments were valid and open for debate. The attacks I have received, had NOTHING to do with what I said, -- But how I looked, or suggested that I was a slave of some sort...HUH? What? Let's talk about the issues. One thing that needs to resonate among women is that in 2008 with 52% [of the vote], women decide. I ask each of you reach into your soul and open yous mind. 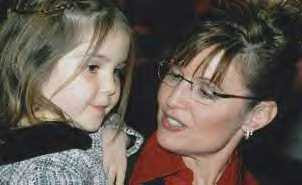 There are 16.5% women who are still undecided, so help them decide McCain-Palin. The "Iron Jawed Angels" of the past ask no less. I'll be writing more about Gov. Sarah Palin's remarkable rally Thursday night in Beaver, PA, a few miles from where I live. I have tremendous admiration for the Governor and her wonderful family. I met a number of superb women yesterday, including Alexandra, who was taping a program for HBO and Melissa Hart, a fine candidate for Congress in western PA. Mistakes made, lessons learned in the 2008 Campaign . . .
Karen [a friend]: At one point in the JustSayNoDeal atmosphere I gave a ringing endorsement to Sarah Palin. I was told by a Hillaryite that by praising Sarah Palin so highly I had upset her because, by comparison, I'd made HRC look bad. Actually, I said nothing about Hillary Clinton, whom I admit I don't believe is in the same league as Sarah Palin. Let me be frank: HRC is obviously a Party first person. 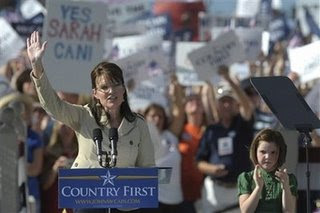 Sarah Palin is country first. Your comment about the "maverick" (i.e., naive) political participants is accurate. Frankly, the hundreds of thousands of hours spent on "Denver" and on wild flailing at Obama were a gigantic waste of time and money. The time expended on Denver should have been spent organizing -- and raising money -- to defeat Obama. Sen. Clinton and her husband, both labelled racists (and worse) by Obama, have been out campaigning for their tormentor. The excuse given is that Sen. Clinton "has to do what she has to do." I compare that to Dosteoevsky's comment that, "If God is dead, everything is permitted." As long as someone like HRC is held to no standards, she "lives up" to that just fine. One reason I like Sarah Palin so much is that she is not -- and will never become -- a Washington insider. She is incorruptible and totally fearless. The Hillary Supporters who have faced up to reality (and it is horrifying to say the least) will be great allies. The ones who remain in fantasy land would be no help to us. You raise a point that Chris, Katie, and I have not discussed; the crying need for political training -- basically, to acquaint people with what works and what doesn't. Also, we need to inform people about how to build small organizations into large ones. As for bloggers, they can be great assets. At times, however, we sounded like the second coming of the Tower of Babel. At our worst, we were all trying to produce a "knockout" (one more juicy expose) but generally didn't lay a glove on BHO. The birth-certificate non-issue was a classic case. I doubt 1% of the voters can identify the name "Raila Odinga." Michelle Obama's Princeton thesis is of interest to almost no one. What are Americans interested in? And of even more importance, what are they NOT interested in? I asked people many time to be brutally realistic with themselves, but that message didn't get across to many. We also need to coalesce around a specific candidate. I've said I hope that will be Sarah Palin, but I'm open to other names (if there are some). 'We must either organize effectively or we will fade away into irrelevancy and our country will become unrecognizable." Dear Friends: As a "coalition of the willing," we will never win anything merely by having good intentions. We need to be big and focused. We will also need people -- our allies -- working full-time to attract members and the money needed to operate effectively. We're facing groups like Moveon.org that are very, very good at one thing: raising money to spend on political causes. If they have money and we -- their opponents -- don't, then guess who wins? So, what we're going to face over the next year is the need "to raise money in order to raise money." I'm hoping that in the next 12-18 months we -- our coalition -- can raise a million dollars, most of it used for organization/training/motivation of activists in all 435 congressional districts. My hope is that we could end up with at least 15 activists in every congressional district -- and perhaps 150-200 in some districts. My hope is that over the next year we can attract 10,000 people who will contribute to groups promoting a "country first" agenda. Perhaps the goal might be to seek an average contribution of $100. What would people get for their $100 (not exactly a huge sum)? They would get, first, an opportunity to start winning as early as 2010 -- and close to a certainty of winning in 2012. If we don't move forward aggressively, then we will win neither in 2010 or 2012. That's the selling point. 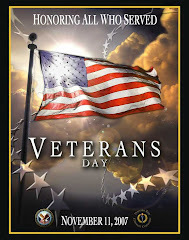 A pressing need right now is for venues (web sites) where we can start signing up people to participate -- and contribute -- for Victory 2010 and Victory 2012. We need to start identifying areas where we're strong (among military personnel and seniors, for example) and then using strength to get stronger. If we're getting 70% of the active military vote, we need to get those supporters to find other backers (e.g., active duty and veterans reaching out to friends and family members). We need to keep teaching/training people how to build their circles of influence. Small groups absolutely must become bigger groups. Where groups don't have "auxiliaries," they need to create them. In the beginning phases, we need to raise money in any way we can -- through face-to-face with potential (big) donors, through direct appeals to Internet and other contacts, and through advertising. There's nothing wrong with telling members and other participants that are doing everything possible to raise money -- and that we want them to help us do so. We will be doing so to help our side win -- period. People who are active full-time in building a winning coalition should get paid modest sums -- that is, enough to survive. I know people, such as Frank of "Democrats for McCain," who have quit their jobs in order to campaign full-time for McCain-Palin. Such individuals need more than just our admiration, as they can't survive on good works alone. We need to begin building memberships in our organization -- I wish we'd call it something like "Country First" -- as rapidly as possible. After the election, we don't want people to do the usual: head off in ten million directions. Some organizations will have to change their names (e.g., "Clintons4McCain") and focus, but they should not just go-out-of-business. There will be millions of individuals, such as moderate Democrats, who will be searching for a "political home." We need to convince them that we are that home.I'm sending this to various people who recognize the need to organize more effectively in their states -- and, especially, in their congressional districts. I'm not keeping these goals secret, because there's really no need to. Some of the people who receive this will want to participate and some won't. I hope people will send their own views on how best to proceed. Our coalition needs input from many people.Overall, we cannot "define" ourselves in such a way that we establish the world's most cohesive (permanent) political minority. Again, we don't need agreement on 100% of the issues. Instead, we will be a relatively diverse group held together by a belief that country -- America -- must come first. I've been asking people to join ALL organizations that are committed to "country first." They include: http://wam08.com ; http://modernconservative.com ; http://dncreform.com ; and, http://clintons4mccain.com . We aren't at a point where we can quibble over tactics or minor differences in political philosophy. We've got to get away from the view that we can somehow win politically by associating only with people exactly like us. Overall, we should identify all demographics where we are strong -- and then build outwards. As frequent readers of this site know, I have predicted that by the end of October John McCain would move slightly ahead in the national polls. The trend seems to be heading in that direction. See below. McCain now trails Obama by 2.7 points, down from the 3.9 point deficit he faced 24 hours earlier.Seven-point-one percent of the likely voters surveyed said they remain undecided.Obama lost five-tenths of a point from yesterday's report, while McCain gained another six-tenths of a point. It was the third consecutive day in which Obama's numbers slipped and McCain's numbers increased. McCain has once again moved above 45% support overall, a mark he has not seen since the second day of daily tracking reports. Obama's slip under 48% support is the first time at that level in nearly a week. He now stands within one-tenth of a percent of where he stood when the Reuters/C-SPAN/Zogby daily tracking began almost two weeks ago. McCain is within two-tenths of a percent of where he was when the tracking poll began.During the 13 days of the tracking poll, Obama has led by as much as 6.2 points and as little as 1.9 points. Except for a few hours of polling, this three-day rolling average of telephone polling now includes a sample taken entirely after the final presidential debate last Wednesday. The Zogby tracking poll includes 1,211 likely voters across the country who were surveyed between Oct. 16-18, 2008, at the rate of about 400 per day. The survey, conducted using live telephone interviewers calling from Zogby's call center in Upstate New York, carries a margin of error of +/- 2.9 percentage points. John McCain Leads in Latest Florida PollJohn McCain- 49%Barack Obama- 47%Survey USA, a prominent national polling firm, shows John McCain leading Senator Barack Obama in the state of Florida. The Survey USA Florida poll was conducted after the final presidential debate on Thursday October 16th. "McCain brings a lifetime of useful experience, including his grueling captivity in Vietnam and long Senate service. He believes in federalism, a strong defense and disciplined self-interest. McCain has been willing to cross party lines to work on tough problems. He co-authored a campaign finance law that failed to fulfill its objective, but he did muster the bipartisan support needed to try to control the buying and selling of public office." I hope everyone will tune in to our Clintons4McCain Blog Talk Radio show on Saturday. 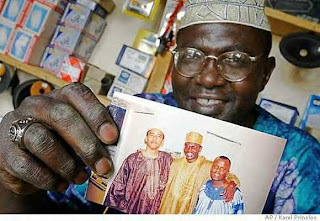 We'll have to outstanding African-American guests, who will explain why they're opposing Barack H. Obama. Team -John McCain and Sarah Palin were hard at work on the campaign trail this week, visiting with voters in battleground states and working day and night to reach out to undecided voters and energize supporters in the remaining days of the campaign. John McCain came off a great win in his final debate with Senator Obama and the polls are beginning to tighten as we head into the final stretch. Yesterday, our campaign released a new TV ad highlighting this called, "Fight." John McCain and Sarah Palin are a team of reformers and fighters with a bold plan to make the next four years better for all Americans. Take a minute today to watch our latest ad by following this link. Our country's economic troubles won't be solved by higher taxes and Senators Obama and Biden have laid out plans they say will "spread the wealth" around - taking more money from hard working Americans in the form of "patriotic" tax hikes. If we're going to elect John McCain and Sarah Palin, we need your help. In the final days of the race, we need you to to pitch in and sign up to volunteer through our online phone bank. It's easy to use; you choose the state where you'd like to make calls and we provide the names, numbers and phone scripts. Please take a few minutes this evening or tomorrow to follow this link and make 20 calls for our campaign. Our entire team, from our candidates to staff and volunteers, appreciates your support and dedication. Please get involved in the final days of the campaign. Your help can put us over the top on Election Day. Dear Friends: I salute all of you who are involved in the Ground Game to ensure the election of John McCain and Sarah Palin. We need to reach out to friends, family, neighbors, and, yes, perfect strangers, to win on November 4. The closeness of this election has been, at times, emotionally draining. But all of us have made many new friends and allies, some of them coming from unexpected backgrounds and political views. We need to ensure that never again does the U.S. have a presidential candidate like Barack H. Obama: inexperienced, unqualified, untrustworthy, and careless about protecting our country. We in fact are going to take back this country. The goal of outstanding people like Chris Cook (http://modernconservative.com/), Jacquerie (http://wam98.com/), and Karen Hill (http://dncreform.com/) is to build organizations that will in combination be much bigger and stronger than the extremists' Moveon.org. I urge all of you to join these groups now..We need to hang together and not demand total agreement on every issue, but rather aim for mutual understanding and unity on shared goals. There will be a lot more about this right after the election. In her debate with the Washington Windbag Biden, Sarah Palin talked about an America chracterized by "liberty, tolerance/respect, and opportunity." That's a real good starting point. Why don't you spend your time during tonight's debate with fellow McCain-Palin Supporters in a chat room? Come to http://votebitter.com. If you'd like a classic "Sarah: Guns and God" tee-shirt, you can get one (or more) by clicking on the image to your right. 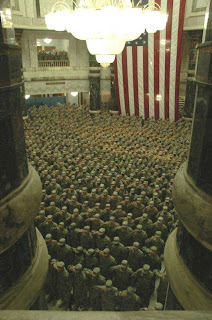 I sent my young friend, Rhandi, from Corpus Christi, Texas, copies of the pictures above of U.S. soldiers reenlisting en masse in Baghdad. She replied with a heartfelt letter about her experience as a young army wife. It touched me greatly, and I hope it will also touch you. You have me in tears. I don't know how I missed this, but thank you so much for the nice little "shout out." My husband has served nearly 8 long years in the military (including 2 deployments - 1 being a consecutive 2 together, and the later being the whole first year of our marriage). 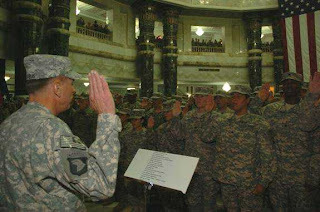 He, too, reenlisted in Baghdad. He will be in for as long as he can - only 12 years until retirement is an option, which at that time he will be 39 years young. 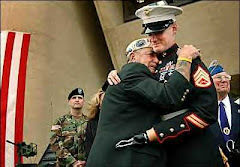 It's amazing when I think about the things I've sacrificed simply to be with him (leaving my comfort zone, families, and friends, attending a new school, and trying to start and continue life in a whole nother state, a whole nother atmosphere), but even more amazing still is the dedication and sacrifices I've seen him and other men and women like him, including friends, make for the better of our whole society. My best friend from Portland, TX is marrying a marine in December, who is also thinking about reenlisting for the sole purpose of believing in what we're doing and what our country stands for. He planned on going in for four years and getting the heck out, but now that it's come down to it - he is pretty close to staying in for at least 1 more enlistment. In the household I live in (and run :wink:), we support McCain. In the household I came from, they support McCain. In the households I've visited in my recent trip to Texas, we support McCain. I hung out with a BIG, BIG group of young adults (ages 20 to 24) and we were amazed by the fact that we could all agree on the same presidential candidate. Yes, politics did not get ugly between our group, and it seemed to only strengthen our beliefs, knowledge and united front regarding the future president of our country. I've never seen so many young people get involved and feel this strongly, but going back to Texas made me proud to be where I was from, and even prouder to be apart of the friendships and relationships I have there, and with other fellow political followers. When that big a group of young adults can get together and continue to have a good time speaking about political elections and candidates without all hell breaking loose and a big confrontation, you've got to know that something good is going on, and something great could be happening.I'm with you 1000% Steve. As is my husband, best friend and her fiance, who is currently deployed, plus the many, many others that I know - soldiers and civilians alike. Thank you for sending out this email and including my family and I in it. Eric's been home since June and I'm still in tears when it comes to these types of things. Rosa at RSVP153@aol.com sent the following urgent message to New Yorkers and other McCain-Palin supporters across the nation. As a Pennsylvanian, I hope people around the nation will respond in similar fashion. The NYC Area Democrats For McCain had a very successful canvassing effort in Scranton, Pennsylvania over this past weekend. And people of color were well-represented in the crew. Our conclusion is that there are many Democrats in Scranton who could be persuaded to vote for John McCain. Barack Obama must be defeated now, rather than later. And, we will not be able to defeat Obama by just hoping that others will do the job, by hanging out mainly in the blogosphere talking to other NObama folks, by just giving up... Here are three recommended actions that you should do over the next three weeks to ensure that Obama is defeated now, rather than later. 1. Study talking points on John McCain (file attached). 2. Click one of the two phone bank links below (Daytime, Evening/Weekend). You will be prompted to sign up for phone bank. Fill out form (takes less than 1 minute). 3. After signing up, you will be sent an email from john@johnmccain.com to set up your password. 4. After setting up your password, click one of the phone bank links below, again. 5 At the top of the screen you should see "Voter2Voter Phone Bank"
7. You are set to go. You will see a name of a fellow Democrat in the upper left corner of screen. 9. Start making calls. Be courteous. Be well! Normally, I start these things out by saying 'My Fellow Americans.' Not doing it this time. If the polls are any indication, I don't know who more than half of you are anymore. I do know something terrible has happened, and that you're really not fellow Americans any longer. The reason I'm quitting is simple. I'm fed up with you people. I'm fed up because you have no understanding of what's really going on in the world. Or of what's going on in this once-great nation of ours. And the majority of you are too damned lazy to do your homework and figure it out. Let's start local. You've been sold a bill of goods by politicians and the news media. Meanwhile, all you can do is whine about gas prices, and most of you are too damn stupid to realize that gas prices are high because there's increased demand in other parts of the world, and because a small handful of noisy idiots are more worried about polar bears and beachfront property than your economic security. We face real threats in the world. Don't give me this 'blood for oil' thing.. 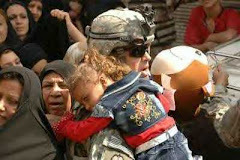 If I were trading blood for oil I would've already seized Iraq 's oil fields and let the rest of the country go to hell. And don't give me this 'Bush Lied...People Died' crap either. If I were the liar you morons take me for, I could've easily had chemical weapons planted in Iraq so they could be 'discovered.' Instead, I owned up to the fact that the intelligence was faulty. 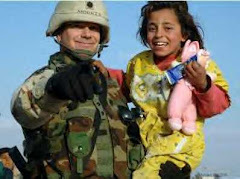 Let me remind you that the rest of the world thought Saddam had the goods, same as me. Let me also remind you that regime change in Iraq was official US policy before I came into office. Some guy named ' Clinton ' established that policy. Bet you didn't know that, did you? Now some of you morons want to be led by a junior senator with no understanding of foreign policy or economics, and this nitwit says we should attack Pakistan , a nuclear ally. And then he wants to go to Iran and make peace with a terrorist who says he's going to destroy us. Did you sleep through high school? You idiots need to understand that we face a unique enemy. Back during the cold war, there were two major competing political and economic model s squaring off. We won that war, but we did so because fundamentally, the Communists wanted to survive, just as we do. We were simply able to outspend and out-tech them. That's not the case this time. The soldiers of our new enemy don't care if they survive. In fact, they want to die. That'd be fine, as long as they weren't also committed to taking as many of you with them as they can. But they are. They want to kill you, and the bastards are all over the globe.You should be grateful that they haven't gotten any more of us here in the United States since September 11. But you're not. That's because you've got no idea how hard a small number of intelligence, military, law enforcement, and homeland security people have worked to make sure of that. Making matters worse, you actively support those who help the enemy. Every time you buy the New York Times, every time you send a donation to a cut-and-run Democrat's political campaign, well, dang it, you might just as well FedEx a grenade launcher to a Jihadist. It amounts to the same thing.In this day and age. It's easy enough to find the truth. It's all over the Internet. It just isn't on the pages of the New York Times, USA Today, or on NBC News. But even if it were, I doubt you 'd be any smarter. Most of you would rather watch American Idol or Dancing with Stars. I could say more about your expectations that the government will always be there to bail you out, even if you're too stupid to leave a city that 's below sea level and has a hurricane approaching. I could say more about your insane belief that government, not your own wallet, is where the money comes from. But I've come to the conclusion that were I to do so, it would sail right over your heads. So I quit. I'm going back to Crawford. I've got an energy-efficient house down there (Al Gore could only dream) and the capability to be fully self-sufficient for years. No one ever heard of Crawford before I got elected, and as soon as I'm done here pretty much no one will ever hear of it again. Maybe I'll be lucky enough to die of old age before the last pillars of America fall. Oh, and by the way, Cheney's quitting too. That means Pelosi is your new President. You asked for it. Watch what she does carefully, because I still have a glimmer of hope that there are just enough of you remaining who are smart enough to turn this thing around in 2008.So that's it. God bless what's left of America .Some of you know what I mean. The rest of you, kiss off. PS - You might want to start learning Farsi, and buy a Koran. I've been wearing my Sarah Palin "Guns and God" tee-shirt in PA, and it's been attracting a lot of attention. You can get one by clicking on the Sarah logo on the sidebar. Tomorrow, as a former business speechwriter, I'll be writing on "A Speech for Sarah Palin." Jean Avery has turned her "little" group of American moms into a countrywide organization. She's one of the most innovative activists in the nation and has developed many fascinating concepts, including what she calls "nap-time politics." Next week on the radio show we'll feature two African-Americans who are spearheading the campaign against Obama and for McCain-Palin. They'll be Lloyd Marcus and Tanya Crews.The co-hosts of the program will be Anne Franklin of Texas and Steve Maloney of Pennsylvania. Our emphasis from now until the election will be on "ground-game" activities (calling, canvassing, e-mailing, etc.) that are essential to winning the election. A second point: I'm asking everyone in our huge coalition to join the action-oriented group known as "Wake-Up America." You can join today by going to: http://wam08.com It will explain exactly what you can do to get out the vote for McCain-Palin. 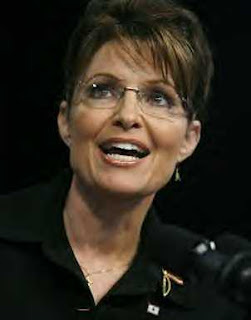 WAM will make common cause with ALL groups dedicated to the election of John McCain and Sarah Palin. A final point: one of the country's best organizations at attracting Democrats and Independents to McCain-Palin has been: http://dncreform.org. They're influencing votes around the country, but they need your financial support -- even a few dollars will help -- to continue their efforts. Please assist them. Again, I'd like to thank all of you for your efforts on behalf of Sen. McCain and Gov. Palin. The practical actions we take will ensure victory on Nov. 4. Okay, Zogby has Obama ahead by two points (as did Diageo, which has been in the tank for Obama), and Hotline has it at one point. I've written recently about what we should do (fight like h--l) "when we take the lead again." I said I thought that would happen sometime around the beginning of the third week of October but perhaps as late as early November. Obama all through the primaries "over-polled" and "under-performed in the voting booth." In the PA Primary (April 22), Wolf Blitzer and others said the race was "tightening" and we even heard their favorite cliche ("too close to call"). I said that Hillary Clinton would win by 10 percentage points. On April 23, it was at 10 points, although it fell to 9.2% by the end of the day. I do know PA voters (ornery!). I also predicted Clinton could win OH, TX and IN, in all of which Obama "over-polled." Sen. Clinton won all three. In 2004, Gallup came under heavy criticism from the far-Left for having "too many Republicans" in its survey template. Like terrified rabbits, Gallup changed its legendary template ("the gold standard"). As a result, it got both the national and the state races wrong. It said in early November, 2004 that Bush would win PA by two points and Kerry would win Ohio by two points. I told the editor of the Pittsburgh daily that maybe Gallup had gotten the states confused. Kerry won PA by three points, and Bush won Ohio by two points. Gallup also predicted that Kerry could win FL, which he lost by hundreds of thousands of votes. There has been a lot of talk about "the Bradley Effect," referring to the fact that voters tell pollsters that they will vote for a Black man -- and then don't. It does exist in this campaign, and there are a (very) few people trying to figure out its effect on this year's election. Why do people tell pollsters "fibs?" Because they think (correctly) that's what the pollsters want to hear. One great caller in Beaver County, PA (Audrey) is so sweet and friendly that when she asks voters if they support John and Sarah, EVERYBODY SAYS YES! Gallup's "internal numbers" have had McCain ahead as recently as last week (45-39), but it's buying the heavy "new" (Black mostly) vote theory, so it put McCain behind. Say what?? In the PA primary, Obama lost approximately 60 counties out of 67. He won some suburban Philly counties by relatively narrow margins. He won Philly (big), Pittsburgh (city), Harrisburg, and downtown Lancaster. Otherwise, he didn't win squat. His support in PA is very soft. Beware the polls (especially CNN), my friends. I love those polls of course, but I don't really believe them on a day-to-day basis. Tonight (Tuesday), participate in a debate-watch-chat with fellow McCain-Palin Supporters at http://votebitter.com. If you'd like to purchase a "God and Guns" tee-shirt, go and click on the link at the top of the sidebar. When you purchase it, please use the promo code "steve." Every nickel generated above costs will go the McCain-Palin Campaign. If you want to engage in actions to elect John and Sarah, please go to: http://wam08.org and sign up. Thanks. 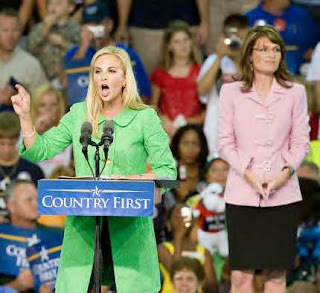 Note: The followoing material is from Doug Holtz-Eakin, McCain-Palin 2008 Senior Policy Adviser. The piece is entitled "Obama's Lies on Health Care." This will be part of a several part series comparing Sen. McCain's rational health care plan with Obama's government-dominated variety. Across the country, Barack Obama is attacking the McCain health plan with ads that are cynical and deceitful. Unfortunately, these attacks will not stop by a mere presentation of the facts. Barack Obama has now made a deliberate decision to lie about John McCain's health care plans with the realization that no one in the media will actually call him on it. Barack Obama's attacks are not grounded in the facts. There are significant and legitimate policy differences between John McCain and Barack Obama that voters should clearly understand. We do suspect this will be difficult to accomplish, as we've seen that pinning down Barack Obama's policy positions is like debating the protégé of John Kerry. He has changed his tax plans nearly weekly to disguise his most basic intention to raise taxes during a recession. He has played games with NAFTA and international trade to disguise his belief that opening foreign markets to American workers is not good. He has been on both sides of the Second Amendment in an effort to disguise his fundamental anti-Second Amendment positions. He has displayed a willingness to say anything in order to be elected president including deriding basic American values at a San Francisco fundraiser in order to raise campaign cash while traveling to diners in Pennsylvania telling us how much he cherishes small-town values. · Barack Obama's Plan Will Harm Employer Coverage: The Obama plan includes a $179 billion a year employer mandate. The mandate requires employers to either provide "meaningful" coverage or pay a tax towards the government plan. Faced with tough economic conditions and rising health costs this creates a clear incentive for employers to drop coverage and move families into the new government plan. A Lewin Group study which examined a similar employer mandate combined with a national plan, like the Obama plan, concluded that almost 52 million individuals would lose their private employer coverage. To maintain their competitive edge, others employers will follow - spelling the demise of the employer coverage system. The steps bloggers and other onliners must take for McCain-Palin to win in November . . . Note, if you'd like to read my pieces on Hillary Clinton as a classic "Abused Woman," please go to http://hillarysupportersformccain.blogspot.com. For the most part, I couldn't agree more with Paul Z. -- bloggers need to be coordinated rather than consolidated. I would add that we also need to be more focused, not trying for revelations on 100 different issues. Obama's murky position on Jerusalem is one of those that will take 10,000 hours and get us 100 votes. In a sense, we need to be brtual with OURSELVES, determining if our "pet" issue is really one that matters outside ur household. We have to know exactly what we're doing and be able to determine if it's going to win us votes. With me, it has been the Rev. Wright issue. Wright is an America-hater, a hater of White People, and a malicious liar. Obama spent 20 years in his Church, pressumably hooting and hollering along with the rest of the congregation. Frankly, we can't assume that something that may be important to some pro-Isreael voters (Israel-hater Rashid Khalidi, for example) is significant to anyone else. I fear the same is true with Raila Odinga -- almost no one knows who he is. If he lived in Chicago, we'd be fine. When we have to tell people that they "should be interested in this or that," we've lost the battle. The fact that Obama had the most liberal voting record in the Senate (and Biden was the third-most liberal) is clear and easy for people to understand. They are both socialists whose political philosophies are basically to buy votes with other people's money. 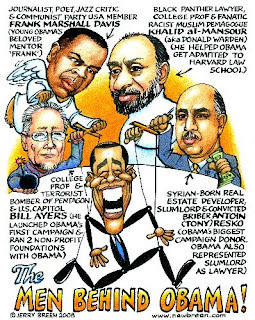 i suggest we also, focus on Obama's connections with unsavory characters, primarily Ayers and Wright. I do believe it's also an issue that Obama and his main allies in Congress have been recipients of huge donations from most of the housing and financial services companies connected with the financial crisis. But again, Obama's "birth certificate" is not going to decide votes, even if it should. Obama's huge donations from Tony Rezko are important as part of his connection with unsavory characters throughout his political lifetime. 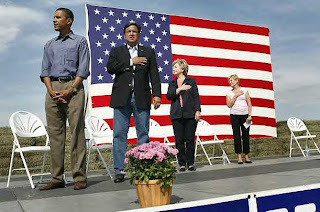 Obama's long connections with voter fraud -- ACORN -- could become a major issue. Sean Hannity has a program on it tonight (Sunday) on FOX News. It's already viral on the Internet. Voter fraud is important because it's a way of stealing the value of honest people's votes. As bloggers, we have to stop trying for exotic "home runs." We need to focus on a few issues that can determine the election. Obama/Axelrod would dearly love to send us on wild goose chases. We must resist the temptation. Willie Horton, ONE issue, destroyed the Dukakis candidacy. The Swift Boat allegations, really one issue, destroyed Kerry. I'm sure there were hundreds of other "issues" in those campaigns. None of them amounted to a hill of beans. On the image above: I'd leave out Khalidi and Mansour, except in passing. Ayers and Wright should be the focus. Sarah Palin: Ready for Presidency? If you want to participate in the "Vote Bitter" project, buy a Sarah tee-shirt to wear on Nov. 4 (and every possible day before) by clicking on the image to your right. Every penny I get will go to the McCain-Palin campaign. When you purchase, write in the promo code: Steve. You help me a lot! Thank you Stephen. I hope I can count on you for others Sarah Palin stories. 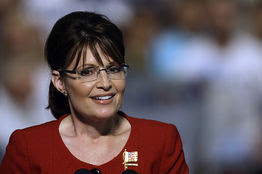 Hi Tatiana: Sarah Palin is very ready to be Presdient of the U.S. She has more executive experience, as a Governor, than ALL the other candidates combined (McCain, Obama, and Biden). She has a well-earned reputation for being willing to go against her own Party (Republican) when it is in the wrong. McCain has done the same, but neither Obama nor Biden has ever gone against the wishes of their Party. Coming from a state that's very rich in natural resources, Sarah Palin is an expert on energy (particularly oil and natural gas) and the environment, subjects that seem to mystify Biden and Obama. Rather than just chattering about the middle class, as her opponents do, she IS a member of the middle class. As a mother -- and the mother of a soldier -- she has experience managing a household and raising children that is foreign to most male politicians. She is a leader and a pillar of integrity, both of which are essential in a President. She will make a great one. http://votebitter.com/debate/vp/ Join us at the debate "watch party" by clicking on the link above. My prediction? "Sarah will mop the floor with him." "We've tried the military surge option before and it failed. If we try it again, it will fail again." (Joe Biden, December, 2006) As the banking industry's "main man in Washington," Biden has a heap of 'splaining to do. "I knew there was something very fishy about Joe Biden . . . "
Joe’s speech has as a leitmotif the words “John McCain was wrong. And Barack Obama was right.” In many cases, he forgot to add that, if McCain was wrong, Biden was also wrong. In most cases, he was just wrong on his own. For example, wasn’t it Obama that labeled Hillary Clinton a warmonger for voting in October, 2002, for the authorization of the use of force in Iraq? Joe Biden forgot to mention – as Obama has – that Biden also voted for the authorization. In the remarks, Biden praised Obama for being willing to “talk” to various despots and rogue leaders. However, he sang a very different tune in the primaries. Of course, since Obama has no experience, Biden talked about the Obama’s supposed “judgment.” In fact, judgment doesn’t appear the strong suit of man who befriended not only crackpot preachers, but also various terrorists, Communists, and gangsters. Those whose memory extends three years or more might remember that, yes, we didn’t read – or see – much about Afghanistan. The reason: because at that point, as McCain noted, we had succeeded. 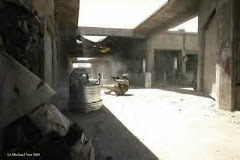 Most of the Taliban had been killed, captured, or sent on the dead run to the tribal areas of Pakistan. Biden apparently confused 2008 with 2005, in which year McCain was dead right about the Afghan situation. Biden’s speech also “forgot to mention” The Iraq Surge,” which John McCain has long supported. Of course, Barack Obama doesn’t talk about the Surge except in ways that suggest he doesn’t have eyes to see – and ears to hear. Who was right on the surge? John McCain. And who was wrong? Barack Obama was. And, lest we forget, so was Joe Biden – terribly wrong. Perhaps that’s why North Korea was absent from the speech. The Obama Campaign presented Joe Biden as an “expert” on foreign policy and national security. As I’ve demonstrated, he’s neither. He’s a longwinded gentleman who’s been wrong on nearly every major issue in his lifetime – he even voted against the first Gulf War resolution back in the previous century. Joe Biden talks a great deal and says very little. John McCain apparently has decided to treat Biden as a pompous irrelevancy. For reasons unknown, Barack Obama apparently saw Biden as Mr.-Right. Actually, Joe is turning out to “Mr. Wrong,” someone wildly off-base on all the things that matter. Almanac of American Politics, p. 366. Sarah, a model of integrity and decency, offers real hope for America. By being creative and relentless, we will make sure the next vice-president of the US is Gov. Sarah Palin. I will be writing here about Sarah, a truly remarkable woman, on Wednesday, Thursday, and Friday of this week. The vicious campaign waged against her is really a campaign against the American people, the "normal Americans" who make this country work. In order to get a "National Vote Bitter Day" Sarah tee-shirt, please click on the banner at the top of the sidebar to your right. If you have any trouble (and you won't), you can get in to see and purchase the material by clicking on the following: http://votebitter.com/steve. To make a purchase, you'll have to put in the promo code, which is my first name: steve. One way you can generate the funds you need to help John and Sarah -- and to help the people who are campaigning full-time for them -- is to wear you "Vote Bitter" colors. Another way is to purchase 10 or 20 (or 50) tee-shirts and sell them at a small premium. Then, sink the money into campaign efforts. The product is inexpensively priced.